Opened in 1883 and first named Calhoun Grammar School, then The “Opportunity School” this school was originally located at 417 Piedmont Ave. 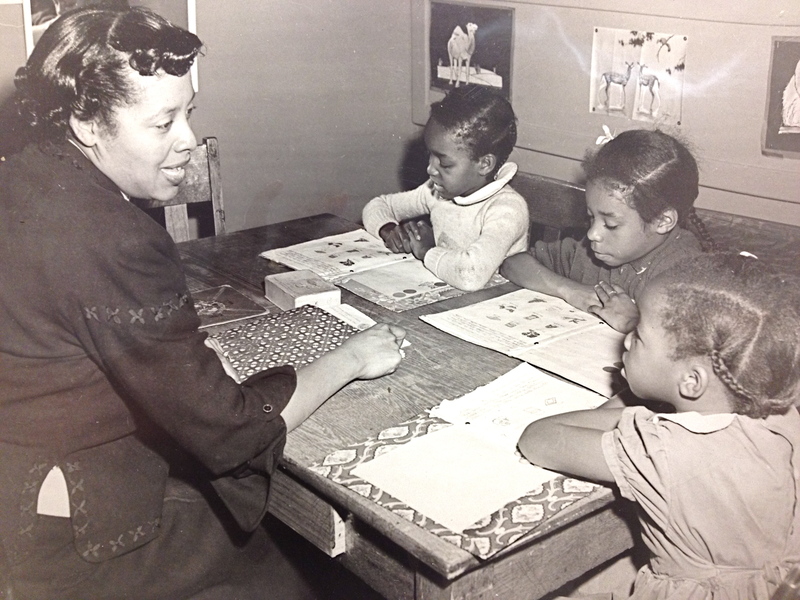 In 1947 the school name was changed to Charles Walter Hill Elementary and relocated to 386 Pine Street, N.E. in 1967. C. W. Hill, (1857 – 1944), was a student of the Atlanta Public Schools and a former teacher and principal in the district. Students featured in this photo were a part of the school’s speech class. C.W. Hill students participated in the city’s desegregation plan through busing in 1973. Students can be seen boarding a bus at Hill, on their way to Morningside Elementary, in this photo from the Atlanta History Center. The Atlanta Opportunity School was funded by the Works Progress Administration (WPA) and a 1935 photo of women learning to sew at the school can be seen in this photo on the Atlanta History Center website. Opened in 1907, Slaton Elementary underwent additions in 1929, 1948, 1949, 1964 and 1965. The school was named after Major William Franklin Slaton, principal of Boys High School and the 2nd Superintendent of the Atlanta Public Schools. He served from 1879 to 1907. The original address of the school is 688 Grant Street, S.E., 30315. 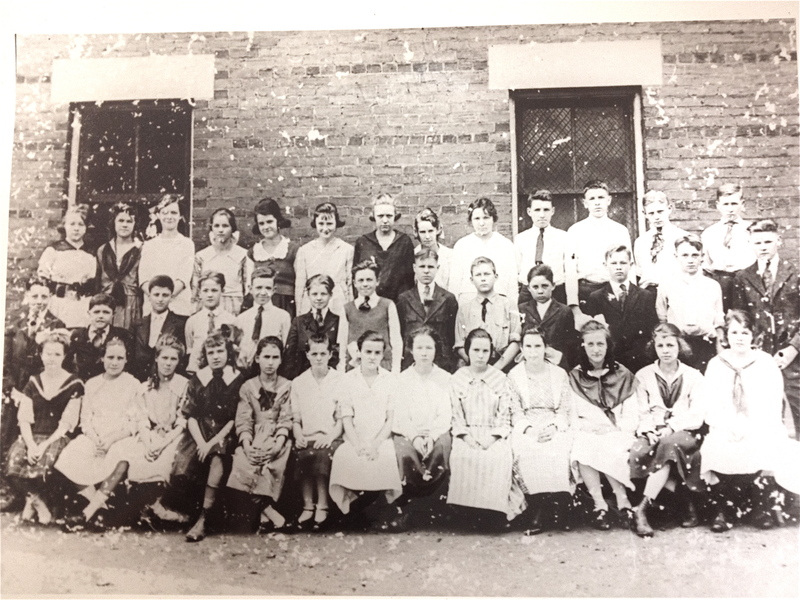 While this photo has no date, it is safe to assume that it is from the earliest years of the school. We will update with further details if they become available. 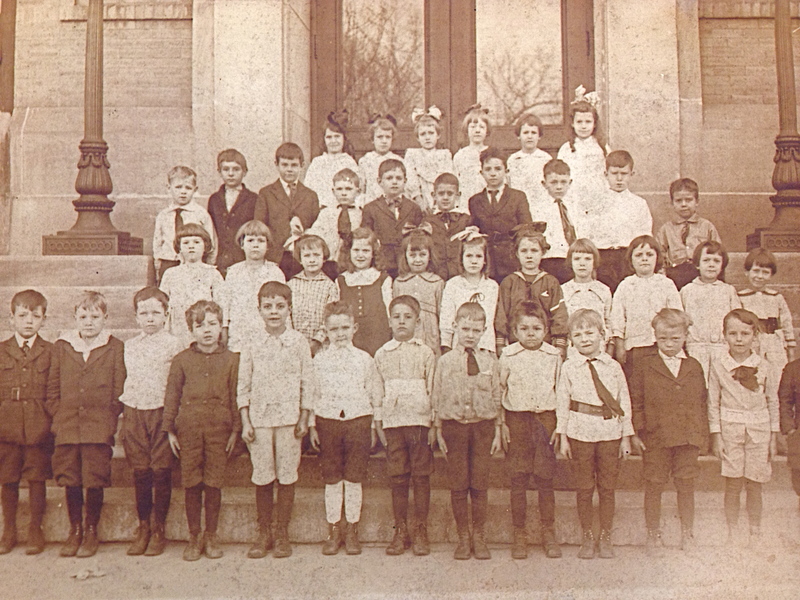 According to the notes on the back of the photograph, this is a photo of Miss Sterling Price’s 2nd grade class at Joel Chandler Harris Elementary School. This history project on “Indian Life” was published in American Childhood Magazine. J. C. Harris Elementary was located in the historic West End of Atlanta. J. C. Harris Elementary School now houses the APS charter school KIPP STRIVE Academy which opened in 2008. KIPP STRIVE Primary School will open July of 2012. Booker T. Washington High School, named after the educator and statesman who was born into slavery and the founder of Tuskegee Institute in 1881, was opened in the city of Atlanta, September, 1924. Designed by architect Eugene C. Wachendorff, additions were made to the school in 1939, 1949, 1952, 1954, 196? and 1981 which sits on over 21 acres of land. Listed in the National Register of Historic Places, the school was the first public high school in the state of Georgia for African American students. By 1960 5 “Colored” high schools existed in Atlanta. Archer, Howard, Price, Turner and Washington. Rosa Parks, Archbishop Desmond Tutu, Jesse Jackson and other world leaders have visted the school that is well known for its heritage and legacy. Notable students of Washington High School include Martin Luther King, Jr. and Lena Horne. “APS Archives” will be an ongoing feature here on Talk Up APS coinciding with the district’s preparations to display its artifacts and archives in a new home. We will feature photos, articles and stories throughout the school year and we encourage feedback from our readers. 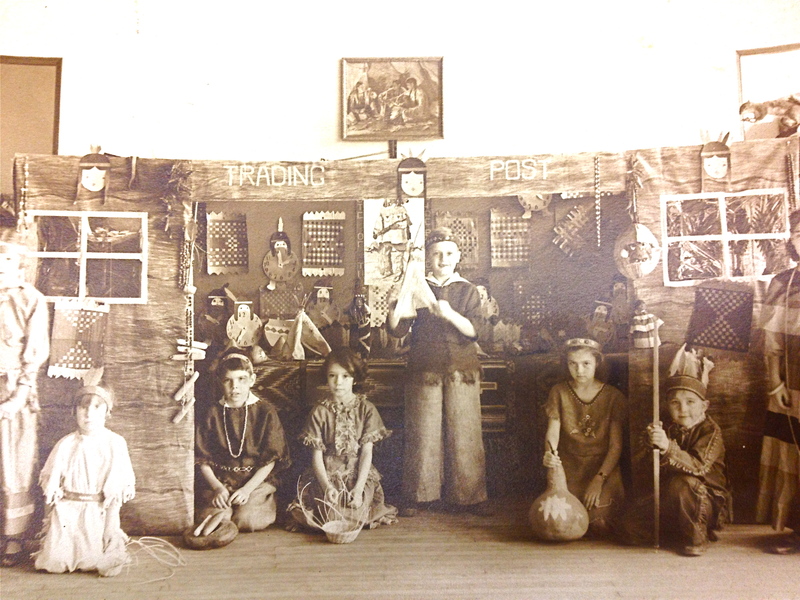 Today’s find is a photo from a 7th grade class at Williams Street School, Atlanta Public Schools, 1917. 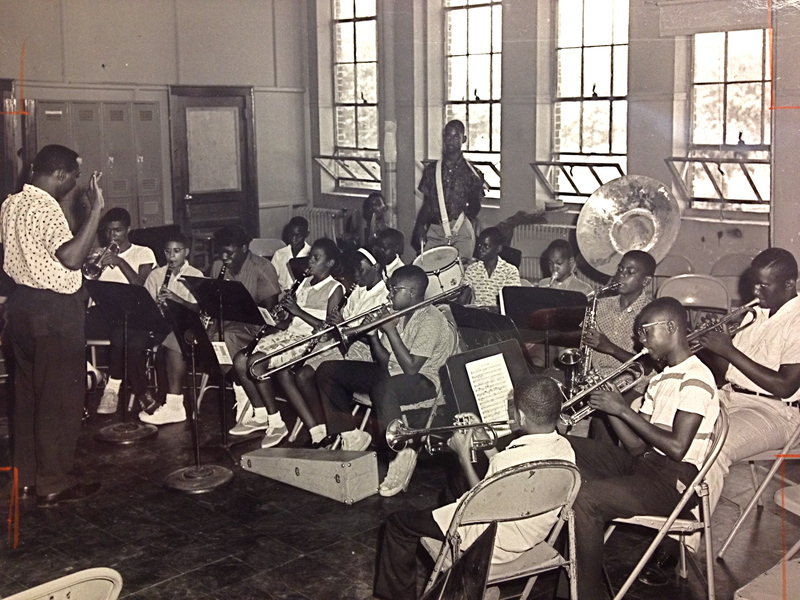 This photo was donated to Atlanta Public Schools by Mr. Harold Martin. What do you know about Williams Street Elementary? We would love to add more information to our archives.